Baby Rhino Rose Petal at Baby Rhino Rescue | Adopt and Donate Now! 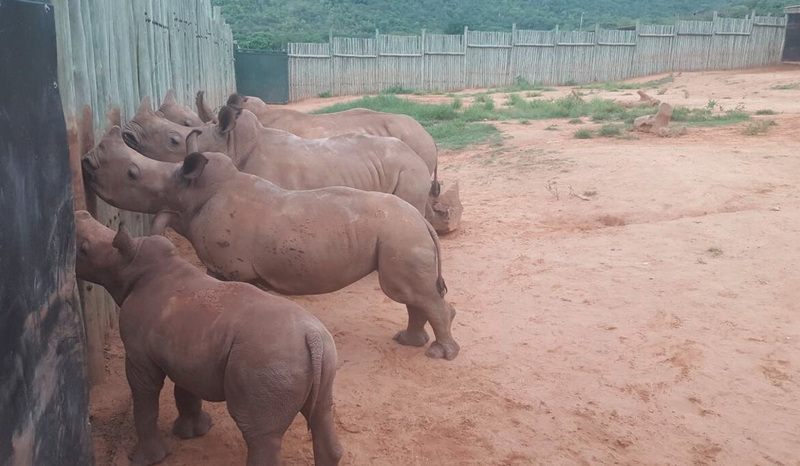 Rose’s mother was critically injured during a poaching attempt in the Kruger National Park. She was shot in the front leg. The Park’s rangers arrived before the poachers could remove any horns but sadly, the rhino cow had to be euthanized, leaving behind little Rose Petal, an orphan. She was 5 months old when she arrived at Care for Wild in a crate at the back of a truck. Very stressed, the poor little rhino needed extra care, so the CFW team massaged her with special equipment when she got scared or restless. Once she was on a regular schedule of milk feeds, she settled down and was ready to see her new world. As soon as her blindfold was removed, she investigated her night pen for 10 minutes before falling asleep happily. Rose enjoyed listening to Khanya who would whisper to her at the door each day. She finally met Khanya, who was much bigger than her and was initially intimidated by her ‘big personality’. She bellowed loudly at Khanya to show her that she was big and strong and to be respected! Khanya took note of this and their intimate friendship began. Rose Petal is a summer baby which simply means she was born in summer. This is a good time for a young rhino to enter the world: there is lots of food, and the mother’s milk is rich. Summer babies are always easier to rehabilitate, because they are naturally of a stronger constitution. 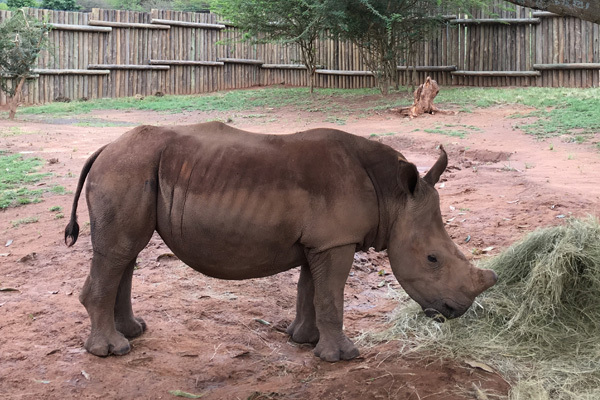 Another young rhino came to join Khanya and Rose Petal. Her name is RubyBelle. The three are now down at the bottom bomas, which means they are allowed freedom in the lovely fields at the back of the bomas during the day where they explore to their hearts content. Rose Petal is a very feminine young rhino and her name reflects this.